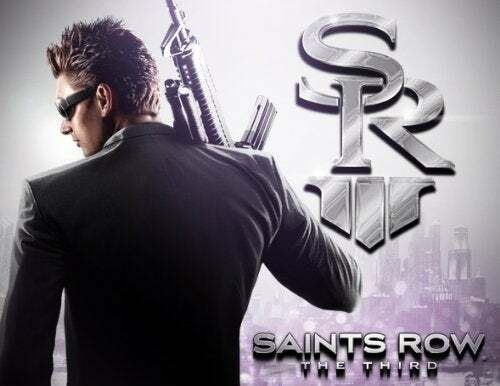 The latest issue of Game Informer unveiled a number of details regarding the third entry in Volition's over-the-top crime series, Saints Row. In Saints Row: The Third, players will once again be introduced to the 3rd Street Saints, but the setting has been changed dramatically. The game will now be based in the rundown city of Steelport and will feature a single antagonist: Belgian gangster Phillipe Loren. The developers at Volition plan on making Saints Row: The Third heavily choice-driven. Steelport will be filled with missions that have multiple outcomes, and players are encouraged to experiment and go crazy, as the game is not meant to be taken too seriously. copy and paste the link in to your browser enjoy. i am eagerly awaiting this one! the first saints row is what i started playing after i realized that GTA IV was far from what i had expected it to be. and when saints row 2 came out, i would yell at my friends for calling me while i was playing that. good times. seems a little weird that the character creation appears to be gone. oh well. the important thing is the series stays true to itself. thank you, tillaz, for posting this information. did the magazine say anything about 'saints row: drive by' ? sounds good pal. it should fill a gap till next gta.